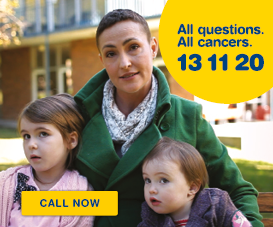 Cancer Council Queensland recommends all school sun protection policies are enforced in Queensland all year round. We require students to wear sun safe hats that protect the face, neck, ears when outdoors. Sun safe hats include legionnaire, broad-brimmed and bucket hats. Baseball caps are not recommended and will be phased out. We have a “No hat, play in the shade” rule for all students. We require students to wear school and sports uniforms which are effective in minimising exposure to ultraviolet radiation, including shirts with collars or covered necklines and elbow-length sleeves and longer style dresses or shorts. We are committed to providing a variety of shade in all areas where students congregate. This includes trees, built and portable shade in areas for recess, lunch, outdoor teaching and sport. We actively encourage students to use available shade when outside. We make available sunscreen that is at least SPF30+ broad-spectrum and water-resistant, or encourage students to supply their own for all school activities and events. We encourage students to apply sunscreen 20 minutes before going outdoors and to reapply every 2 hours when outdoors for extended periods of time. Where practical, we encourage students to wear close-fitting wrap-around sunglasses that meet the Australian Standard AS1067. We consider sun protection when planning outdoor activities, including excursions, sport and carnivals. We include learning activities that promote sun protection in the curriculum for students at least every second year. Examples of learning activities include: displays, literacy activities, songs, SunSmart website resources, assemblies. We regularly reinforce and promote SunSmart behaviour to the whole school community (students, staff, families and visitors) via newsletters, notice boards, website/intranet, social media, school assemblies, parent/teacher meetings and student enrolment/orientation. We encourage families and visitors to role model sun protection behaviours when involved in school activities. In order to maintain our status as a SunSmart School we will renew our membership, and submit an up to date policy, every three years. 11. QUEST is a free online resource library designed to support your centre to create a healthy environment. If you would like to register, tick the box below. If you need assistance developing your SunSmart policy, download our SunSmart Policy template. If you qualify as a SunSmart School, you will receive a 60cm x 90cm SunSmart Centre sign. Becoming a SunSmart School informs the community that your school is committed to the future health of its students. 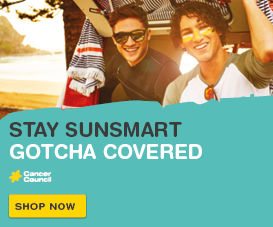 If the school is accepted as a SunSmart School, it will be promoting the SunSmart and Cancer Council Queensland’s sun protection messages in your daily activities, providing a role model to other schools throughout Queensland. Schools participating in the National SunSmart Schools Program must agree to the following terms and conditions. To enforce the school’s sun protection policy as documented. To take reasonable steps to ensure that all staff, students and parents are aware of the sun protection policy and its requirements. 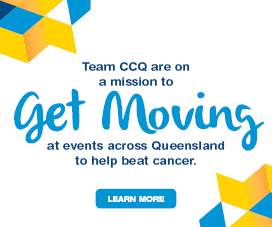 To inform Cancer Council Queensland of any changes to the school’s policy and practices and anything else that may relate to or affect its inclusion in the National SunSmart Schools Program. All students wear a broad brimmed, legionnaire or bucket hat when outside. Sun protective clothing is part of the dress code. Staff are requested to act as role models by practicing SunSmart behaviours. Sun protection activity is included in the School curriculum. The school has sufficient shade or is working towards increasing shade in the outdoor play space. The school reviews its sun protection policy regularly, at least once every three years. This involves staff, management and parents and includes monitoring the school’s compliance with its policy and making suggestions for improvement. SunSmart schools will be reassessed every three years to reconfirm sun protection practices.